NASA is paying people $19,000 to stay in bed for two months. 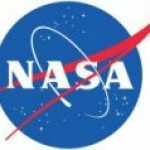 NASA and the German Aerospace Center are researching how the body changes in weightlessness and bed rest simulates this condition. So they are paying people $19,000 to spend 60 days lying down. The study is taking place in Germany starting in September.